Home / vietnam / 237 people died in Songkran Tet. 237 people died in Songkran Tet. During the first four days of the Songkran festival, Thai police fined 110,000 people who violated traffic laws to temporarily collect a license for 16,000 drivers. 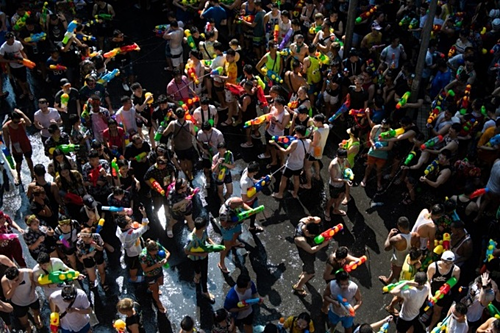 The Songkran Water Festival is a traditional New Year for Thai people. Event weekly is often known as "7 dangerous day". This is because the number of traffic accidents and deaths is higher than regular days. WHO estimates that about 23,000 people die annually from traffic accidents in Thailand. This is an average of 62 people per day. 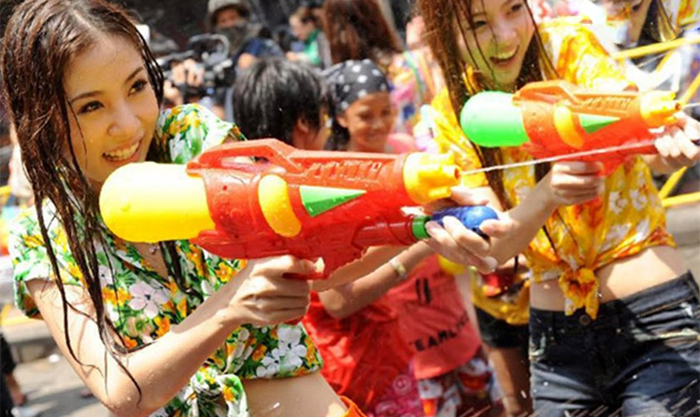 Songkran Festival of the year will continue from April 11th to April 17th. However, traffic accidents during the four days of the festival decreased by nearly 200 compared to the same period last year. The number of casualties and injuries is also small. According to many people, the Thai government has made great efforts to minimize casualties. During the first four days, more than 2,200 traffic accidents killed 237 people and wounded 2,322 people in Thailand. People and tourists pray for each other during the Songkran Festival on April 14th. Picture : AFP. More than 110,000 people have violated traffic regulations, of which 16,000 have been licensed by police. The number of drunk driving is 3,700. Nakhon Si Thammarat Province is the highest number of accidents in Thailand with 81 cases. Nakhon Ratchasima and Udon Thani are the two regions with the highest number of deaths in each state, with 11 deaths. Many people began to return home from April 16th. Therefore, the authorities said they took care to punish drunk drivers while driving to Bangkok after the vacation. Songkran Tet is held on the first day of the year according to the Buddhist calendar. This is one of the biggest festivals, with the largest number of Thai waiters awaiting throughout the year and attracting many tourists. It is also an opportunity for Thai people to honor the Buddha. They clean the house, water the elderly, and send homage and good fortune. More than 2,200 accidents and 237 people died in Songkran Tet. This year is Songkran Festival in Khao San Road, Bangkok. video : YouTube.